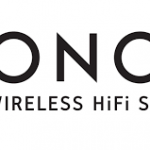 We are able to install and service all Sonos systems. We deal with all models of Sonos and have a wide range of quality AV products to compliment your system. Installation of all types of speakers from in-ceiling to on-wall, we can even install completely invisible speakers!